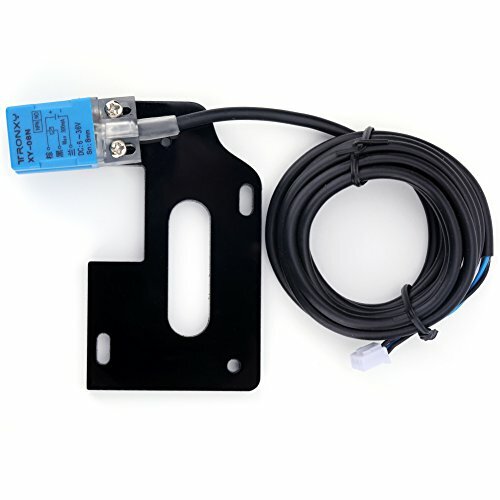 Bed alarms and sensor pads are the best method of getting an early alert that your patient is trying to get out of bed. 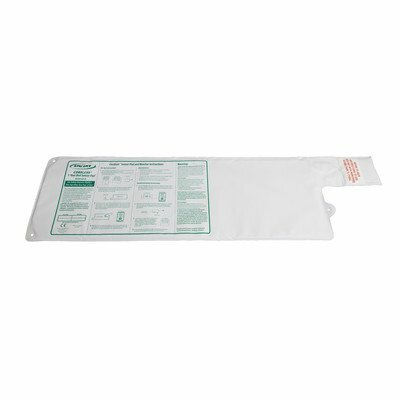 Place the pad under your patient's back or buttock area (beneath the fitted sheet). The pad has a cord which runs along the side of the mattress. When the patient starts to sit up, taking their weight off the pad, the pad sends a signal to the bed alarm monitor and the monitor will start to alarm and let you know they need assistance. By having an alarm in the room with the patient, you will not only hear the alert from an adjacent room, but the patient may slow down and wait for you once they hear the alarm sound, giving you valuable time to come to their aid. Manufactured by Smart Caregiver. 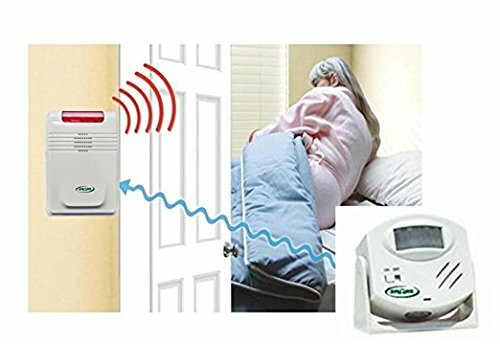 Cordless Bed Sensor Pad with Transmitter Size: 10" H x 30" W x 0.1"
GBT-RI Size: 10" H x 30" W x 0.1" D Features: -Bed exit weight sensing pressure pad for senior fall prevention. Product Type: -Alarm-related. Color: -White. -Latex free. -Cordless, 1 year pad life. Dimensions: Size 10" H x 30" W x 0.1" D - Overall Height - Top to Bottom: -10". Size 10" H x 30" W x 0.1" D - Overall Width - Side to Side: -30". Size 10" H x 30" W x 0.1" D - Overall Depth - Front to Back: -0.1". Size 10" H x 30" W x 0.1" D - Overall Product Weight: -0.5 lbs. Size 20" H x 30" W x 0.1" D - Overall Height - Top to Bottom: -20". Size 20" H x 30" W x 0.1" D - Overall Product Weight: -0.85 lbs. Size 20" H x 30" W x 0.1" D - Overall Width - Side to Side: -30". Size 20" H x 30" W x 0.1" D - Overall Depth - Front to Back: -0.1". (U.S. Patent No. 6,847,301) Set Includes: SUA-1Y 80 dB Tamper Resistant Alarm Monitor, 12" x 30" Bed Sensor Pad, AMH-1Y Alarm Holder, 2X AAA Batteries. Sensor pad is comfortable and durable for continuous use, and can be folded without damage for storage - Sensor pad features durable metal connecting pin that will not break like the easily breakable plastic connectors found on all other sensor pads. 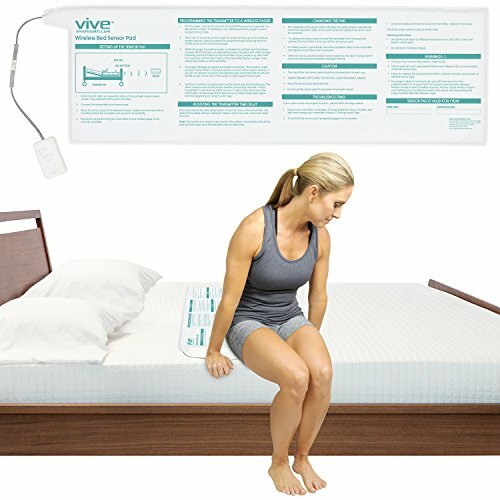 This complete package includes a Long Term (1 Year Warranty) Bed Sensor Pad and a caregiver alarm, which can be up to 100' away from the bed pad, allowing the caregiver to move freely around the home, ensuring that they will hear the alarm as soon as the patient starts to get up, day or night. 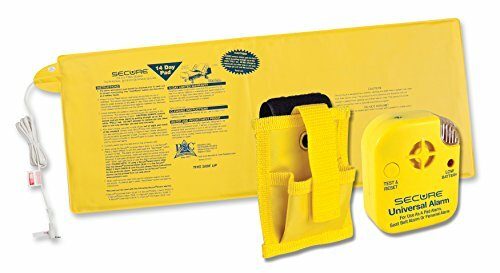 By placing the sensor pad under the patient's back area or buttocks, you will receive the earliest possible alert that the patient is getting up. The alarm features three volume settings, and an on/off switch. This simple to use system provides a more comfortable and less stressful environment for the patient than traditional in-room alarm bed alarm systems, as they don't hear any distressing alarm noise. The caregiver will hear the alert within seconds of the patient sitting up or moving towards the edge of the bed. Pads are sealed for incontinence protection. Alarm operates on 3 C batteries (not included) but to use less batteries over the life of your products, consider purchasing the compatible AC Adapter AC-04EC (12 volt). Instead of sounding an alarm, the motion sensor sends a wireless signal to a pager carried by the caregiver (clipped to a belt or inside a pocket). 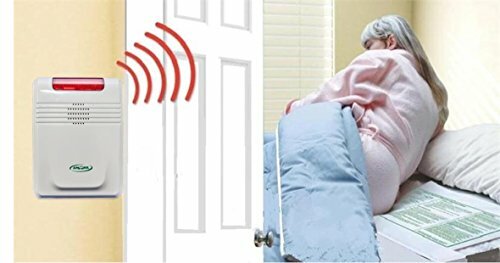 This allows the caregiver to be notified wherever they are without disturbing residents. When positioned along the bedside the fall monitor will alarm as the resident attempts to vacate the bed. (extendable bracket is sold separately). Wireless sensor operates on 3 AA batteries. Pager operates on 2 AA batteries. Batteries not included. 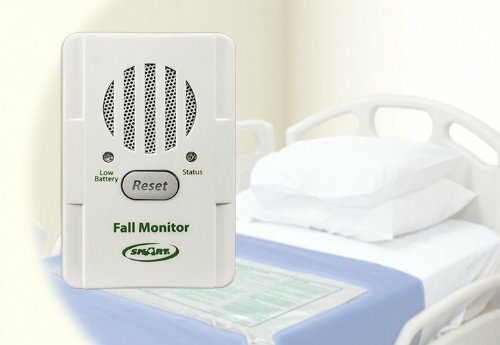 This simple but very effective motion sensor allows you to have the alarm noise with the caregiver, and not with the patient or loved one. 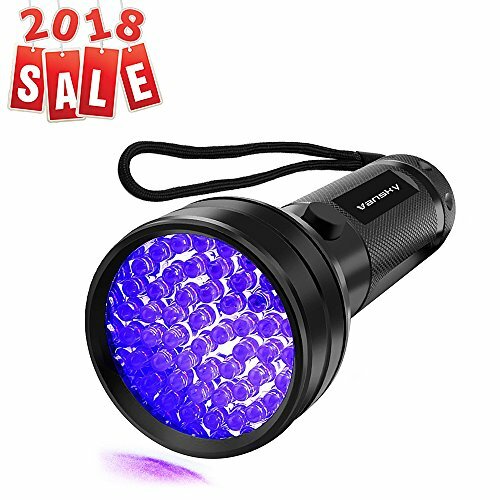 Specification: Detection range: 3.5mm Working voltage: DC 6 - 38V Output method: NPN three wire normally open. Connector: 3-pin (Brown, Black, Blue) Function:auto bed leveling and functions as Z stop switch Compatitility: Anet A8 or other 3d printers Note: in order to make this anet a8 sensor functioning well, Please update its original firmware (OmniPrint－the original one coming with Anet a8 does not support auto bed leveling) to Skynet or Marlin firmware which could support self auto-level. Looking for more Bed Sensor similar ideas? Try to explore these searches: e5420 Keyboard, Cab Ventshade Window Visor, and Prevention Security Services Module.